Going viral in this digital day and age sometimes seems all too easy, but you want to make sure to gain that attention for all the right reasons. Find out how you can achieve viral success on social media (the kind that’s good for your business) by reading our comprehensive guide. Reaching viral success today has become a realistic possibility for every brand and business out there thanks to the rise of social media marketing. According to a study performed by Texas Tech State University, social media marketing also helps brands gain massive attention while encouraging brand loyalty among customers. And if you’re lucky enough to reach viral success, those benefits are sure to be magnified. Aside from the attention, you’re also bound to receive a great boost in engagement from users around the world. 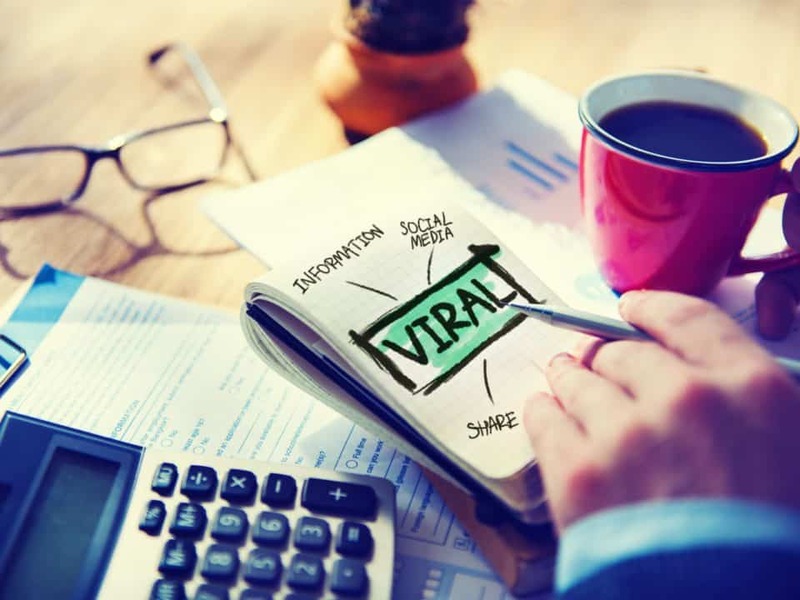 Going viral in this digital day and age sometimes seems all too easy, but you want to make sure to gain that attention for all the right reasons. Find out how you can achieve viral success on social media (the kind that’s good for your business) by reading our comprehensive guide below. Keeping up with pop culture allows you to remain relevant as a brand in the eyes of your social media followers. This gives the impression that you are speaking their language and care about the things they care about – making your brand appear relevant and relatable. Pepsi celebrated the anniversary of the iconic film ‘Back to the Future’ with limited edition bottles that gained massive attention. Back on October 21, 2015, the internet was ablaze with brands who tried to leverage the film’s anniversary for their marketing success. After the campaign snowballed on Twitter, the company received an overwhelming demand for their limited edition bottle. 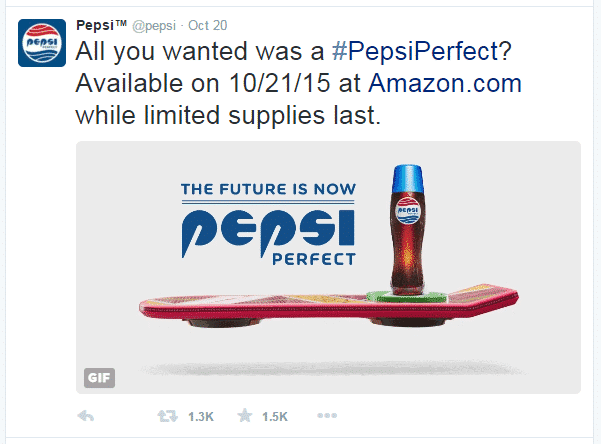 So overwhelming that Pepsi had to give everyone a second chance at picking up their own ‘Back to the Future’ bottle again in November. What made Pepsi’s campaign so successful was its simplicity. Through a simple design and a solid social media marketing strategy, they were able to hit all the right spots that made fans feel nostalgic. There’s no stronger way to convey a brand message than by appealing to the emotions of your audience. According to Dr. Robert Plutchik, our feelings guide our behavior, including our shopping habits. When used in marketing, the wheel of emotion can help you influence your target market’s buying behavior. Humans are capable of four basic emotions, namely: anger, happiness, fear, and sadness. 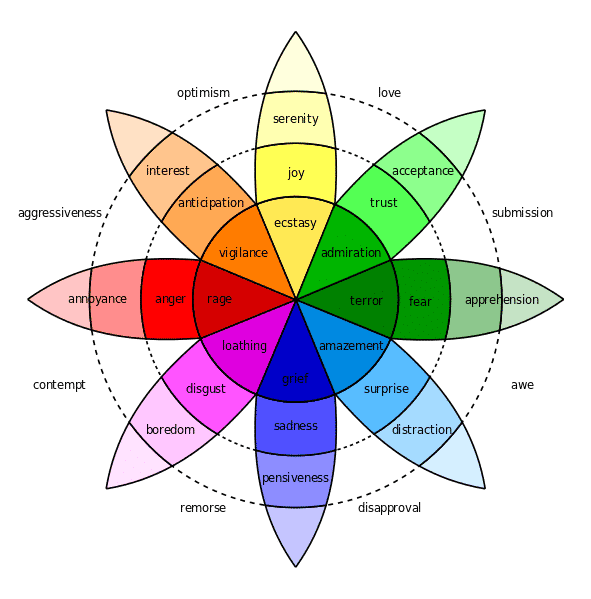 The wheel of emotion peels back the different layers of each emotion to guide you on how to motivate your followers to buy into what you’re selling. Here’s a great example. Back in 2013, Chipotle released an animated short entitled “The Scarecrow.” What started out as a charming view of a quaint little farm soon revealed the harsh reality behind the fast food industry. Paired with a haunting musical score, the animated short managed to depict the harrowing truth behind additive-filled, mass-produced fast food and inspired viewers to choose a healthier, greener alternative – Chipotle. If you watch it til’ the end, we’re certain it will stir up some emotions, which helped make this animated short a viral success. If you want your ads to reach as many people as possible, launching a sharing campaign should be a good way to do it. A sharing campaign is a marketing technique where you will incentivize users who share your post. The more people share your post, the more likely it will reach virality. A great example of a successful sharing campaign would be Uber’s “Codes of Sharing.” Essentially, the campaign is a rider referral program wherein existing users are issued unique codes. They can then share their code on social media, and if one of their friends uses the code, both riders earn a free ride. The news about the codes spread like wildfire on the internet and people began sharing their codes in exchange for a free ride. One guy even earned over $50,000 worth of Uber credits through the code sharing program, which got him eight weeks worth of free rides! While his account ended up getting flagged (bummer for him) it just goes to show how powerful a sharing campaign can be. You can start your own sharing wildfire by creating discounts and rewards for your followers when they help you share the word about your brand. Almost nothing is more crucial to your marketing success than social proof. In this digital day and age, people rely on social proof to influence their purchasing behavior. If they’re deciding between two brands, they’ll most likely go for the one with a large following and many positive reviews. A relatively new business might not have enough social proof to impress a consumer. This makes purchasing social signals such as Twitter Followers, YouTube Views, Instagram Likes, and more a viable option to make a good impression. High-quality social signals from a reputable provider can help you gain credibility at an expedited speed. It also won’t require your full attention, so you can focus on launching your viral campaign while your bought social signals take care of your social proof. You can be on top of the trendiest of topics but if you don’t know how to use them with appropriate timing, you won’t be able to maximize their marketing potential. When a topic is trending, you basically have mere minutes to react to it before it becomes old news, or someone scoops your idea. You have to publish something noteworthy while it’s still the talk of the town, otherwise all your efforts will seem outdated. Arby’s is a fast food giant who knows how important it is to quickly jump on a trending topic before it’s too late. They were quick to react to Pharrell William’s iconic Happy hat which he wore to the Grammys. Their quick wit paid off as Twitter users set the retweet button ablaze. If you really want to take advantage of pop culture and the trendiest of trends, do as Arby’s did and be quick about it. Aside from being emotional beings, humans are also highly visual creatures. This means they easily gravitate towards posts that are accompanied by images. 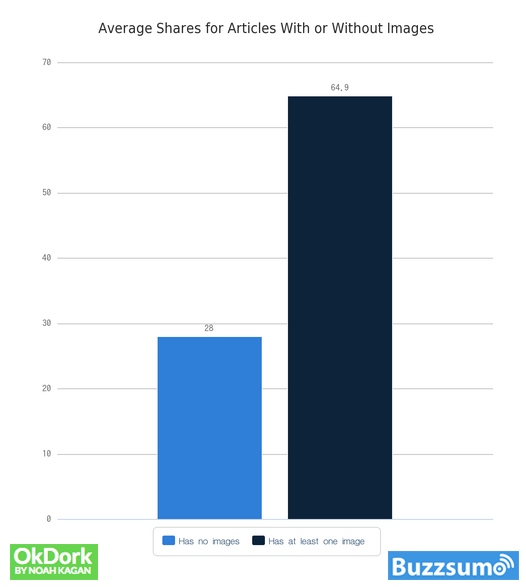 According to a study done by BuzzSumo for OkDork, users are more inclined to share posts that are accompanied by at least one image. If you want to hack virality, you have to make sure you use imagery to make a post more memorable and shareable to your audience. Images make it a lot easier for people to understand what they’re reading and are far easier to digest compared to plain-text posts. Increase your chances of gaining massive popularity by sprinkling unique, eye-catching images throughout all your posts. Social media influencers are some of the most powerful voices on the internet today. Influencers have the ability to motivate a buying frenzy among consumers, which is why brands are always aggressively chasing them down for collaborations. If you want to reach out to more people, consider working with an influencer in your niche. They can foster immense awareness about your products or services through their posts and recommendations. Ingrid Nilsen is a beauty and lifestyle influencer who has over 1.7 million followers on Instagram. For the post shown above, this powerhouse influencer collaborated with Fresh Beauty to celebrate the brand’s 25-year anniversary. Through her eye-catching post, she was able to round up over 80,000 likes and amassed a tremendous number of comments from beauty lovers everywhere. This helped Fresh Beauty introduce their classic services to a whole new crowd. Working with influencers isn’t as hard as most people think. All it takes is specific targeting and a winning pitch to help you reach viral success. Find out who the influencers are in your field and reach out to them. They might be the tipping point to your brand’s success. While virality has the ability to ring in instant success, building an effective campaign takes hard work and dedication. If a random post goes viral, it’s hard to capitalize on it if you’re not prepared. By learning as much as you can about the most effective strategies from the biggest and brightest brands on social media, you’ll be able to develop your own strategy that is scaled to your goals. Your credibility is a large factor to your viral success, so be sure to invest in building a more credible reputation in the most efficient and effective way possible. Purchasing high-quality social signals from a reputable provider will help you up your authority and improve your reputation in as little time as possible. Take bits and pieces from some of the most effective viral campaigns discussed here today and get experimental with your marketing efforts to increase your chances of going viral. Just be sure to go viral for all the right reasons – remember, getting massive renown for the wrong thing can take a permanent toll on your reputation.